Take a minute to think about all the mattresses you have slept on over the years. The family hand-me-downs. The college lump-fest. The motley futons. Isn’t it time you experienced the kind of sleep you’ve always wanted to enjoy? A Simmons BeautySleep mattress is your entry into the Simmons world of better sleep. 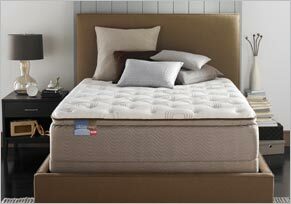 Put your money into a mattress that’s made to last, offering comfort, support and durability for years to come. © 2012 Simmons Bedding Company. All rights reserved.